SSA – The Social Security Administration (SSA) and its Office of the Inspector General launched a joint Public Service Announcement campaign addressing a nationwide telephone impersonation scheme. NewsChannel 9 receives several calls daily from viewers who have gotten these messages. 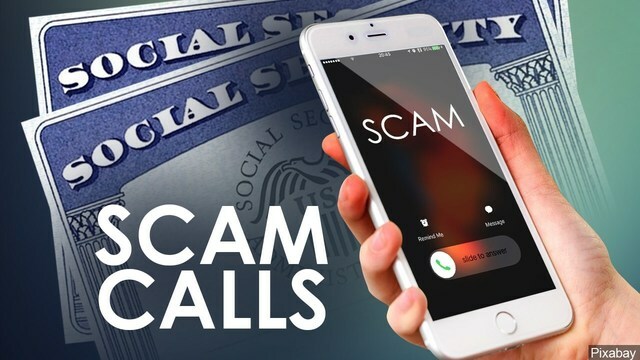 Social Security and the OIG continue to receive reports from across the country about fraudulent phone calls from people falsely claiming to be Social Security employees. Calls can even “spoof” Social Security’s national customer service number as the incoming number on the caller ID. Social Security employees do occasionally contact people–generally those who have ongoing business with the agency–by telephone for business purposes. However, Social Security employees will never threaten a person or promise a Social Security benefit approval, or increase, in exchange for information. In those cases, the call is fraudulent and people should not engage with the caller.